I first saw MAKALU in a parking lot of the Chamonix’s ice rink … As in red dilapidated sign adorning a grim grey building of ENSA’s dormitory… Standing next to PUMORI, another scarface high-rise tower. I gathered it was a mountain… somewhere far. After my Guinness record my lay friends wondered whether K2 was the next challenge I would set my eyes on. Unlike Mallory’s ‘BECAUSE IT IS THERE’, their reasoning must have been ‘BECAUSE IT IS DEADLY’, a casual send-off of a friend to a battlefield where the odds of not making it back is 1 in 4… in the name of scoring another ‘first’. This project for me has few meaningful firsts. I may become the first Russian female to summit the mountain… digging deeper I can surely frame another formidable fit grouping various climbs together… to form ‘leopards’, ‘big fives’ or another breathless epic… but this project is not about this… it is personal as in being the next stage in my alpine growth journey and in that I relish that challenge. Now to the mighty, meaningful and somewhat meaningless math. World’s 5th highest peak, Makalu was first climbed in 1955 by a French team. Some 400 climbers stood on its summit since – vs. over 5,000 for Everest – with just 30 women. It has mortality rate 5x greater than the big E but 2.5x smaller than K2. 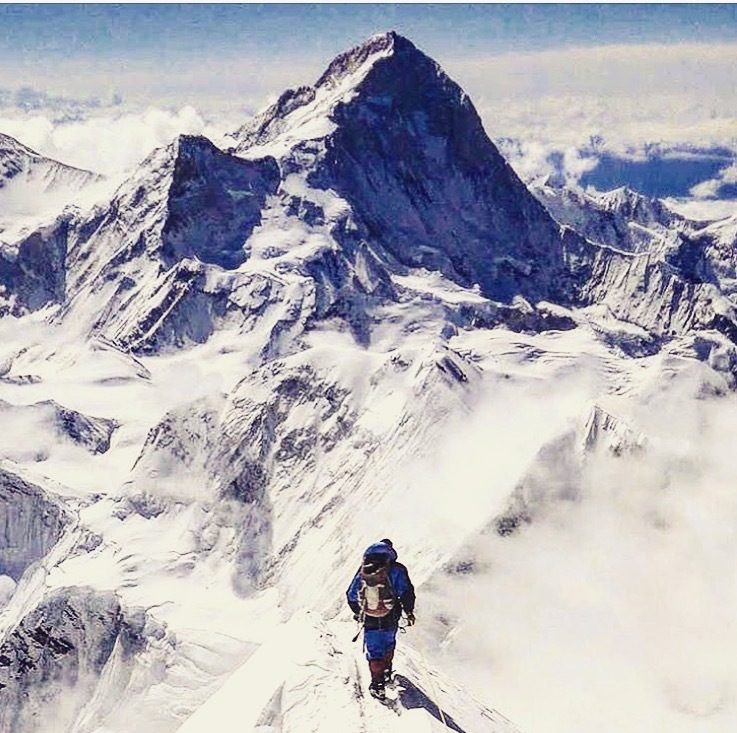 It is by all accounts a more challenging climb than the normal route on Everest… with interminable cold summit day, much of it spent on the northern windswept ridge.